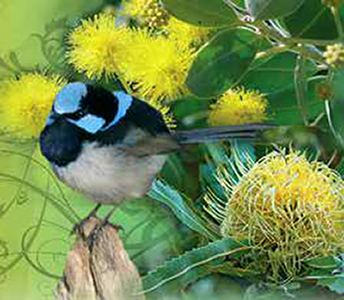 In the 'State Environmental Planning Policy No.19 Bushland In Urban Areas' (SEPP 19) PDF, 32.6 KB 'bushland' means land on which there is vegetation which is either a remainder of the natural vegetation of the land or, if altered, is still representative of the structure and floristics of the natural vegetation. provides natural surroundings where city people can connect with nature. To protect and manage all remnant vegetation in Council's care for biodiversity conservation. To provide advice to other Council officers, Councillors, other landholders and the community regarding bushland and biodiversity. To ensure Council complies with all legislation relating to Threatened Species XLS, 40 KB, and all biodiversity related issues. To oversee community education on biodiversity and conservation issues. Plan and implement bush regeneration programs for all the reserves containing remnant indigenous vegetation. Comment on any development applications that affect remnant indigenous vegetation. Plan and implement noxious and environmental weed control. Plan and implement feral and pest animal control. Develop educational programs and material. Bush regeneration is the rehabilitation of bushland from threats such as weeds, erosion, pest animals, nutrient overloading and clearing. These threats XLS, 39 KB, and many others are mitigated by strategic land management practices, employed to restore ecosystem functions for native flora and fauna. 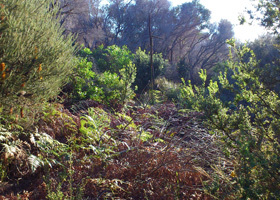 The City of Randwick contains 16 vegetation communities such as Coastal Sandstone Heath, Coastal Dune Heath, Eastern Suburbs Banksia Scrub and Sydney Sandstone Gully Forest. Randwick City is home to a vast array of native plants and animals and contains bushland reserves regarded as 'hot spots' for biodiversity. The City can boast over 500 species of vascular plants displayed throughout our bushland remnants.